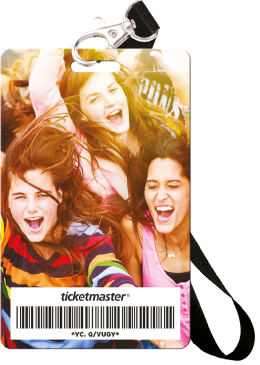 A Ticketmaster collector ticket is the perfect way to remember an event you'll never want to forget. Whether it's the flash of lights, the booming bass or the roar of the crowd, a collector ticket will take you right back to the heart of the action. It's a treasured keepsake for you, the real fan. The stylish card not only gets you into the event, but it's also the perfect souvenir. And it's delivered to you with a lanyard, too. Collector tickets are available for selected events. Enjoy your event, and the memories! Disclaimer: The final product may differ from the picture shown on the webpage.